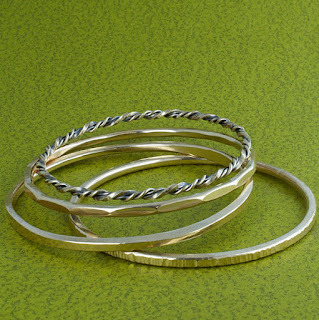 Filled metals, like gold-filled, are an inexpensive alternative to using gold in your jewelry designs. The outside layer of gold is much thicker than plating and can even survive soldering at high temperatures. But care has to be taken to avoid exposing the base metal core. These tips from my second book on soldering, Soldering Beyond the Basics, will help you successfully work with gold-filled metals. Keep filled metals protected during storage. Store wires and sheets separately in plastic bags to minimize scratches. Rest it on soft leather to minimize work marks while filing, etc. Joins must be aligned perfectly for soldering. There's too little gold to file or sand, by hand or with a flex shaft. Just a little filing can expose the base metal core, but you won't know until days later when it tarnishes. Try to match the color of the joins by using 14k or 10k yellow gold solder. A yellow tinted sterling solder is also available, but it only comes in one temperature (medium). Fill joins without overfilling. Use smaller pieces of solder to avoid big lumps. Prevent firescale by using Pripp's flux. Because of the bond between the two metals, the melting point is lower. Never use hard solder. Use medium, easy or extra-easy. A lower temperature flame, like butane, is less likely to burn your gold filled metal. If a small mixed gas torch is used, like a Smith Little Torch, use a medium flame and be gentle with the heat. If your gold filled turns a coppery rose color after pickling, use pumice powder to gently clean the surface. Often this will return the gold color. Try to fix any scratches or problems with burnishing, which will polish without abrasion. A tumbler with mixed stainless steel shot is a safe way to polish. If you still need to polish with abrasives, use the finest grits for polishing, like radials: blue 400 grit, peach 6µ and green 1µ. 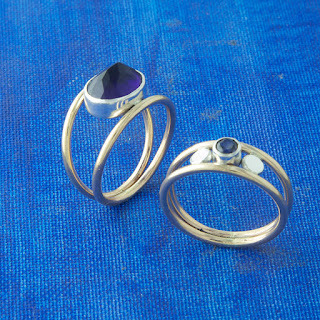 Check out our workshops in fabricating with gold and sterling at SilveraJewelrySchool.com. And follow us on Facebook for more updates and tips. Indeed you don't want to burn the metal. The color change could look terrible. Make sure you are careful with how you treat the metal. Can you roll gold filled wire? I want to roll 10g to 1mm thick for a 3x1mm ring. I do that with sterling all the time but I'm afraid of hurting the integrity of the gold filled wire. Hi Chrystal - Yes you can roll gold filled metals. There's some risk if your rollers are marred of creating a mark that you can't file or buff out (because it would expose the base metal core). But good rollers will burnish the gold exterior, which will stretch and move along with the rest of the metal. Watch out for cracking or splitting from hardening and fatiguing the metal during rolling. And if you need to anneal, use a good fire scale retardant flux. Hi, thank you for the tips, I wanted to know if its safe to polish the gold filled with rough and a gentle buff. I'm afraid to damage the gold layer. Hi Joe! I wish I was in your area to take a course. Quick question, if sawing gold filled, how do I polish the edges so they are smooth. 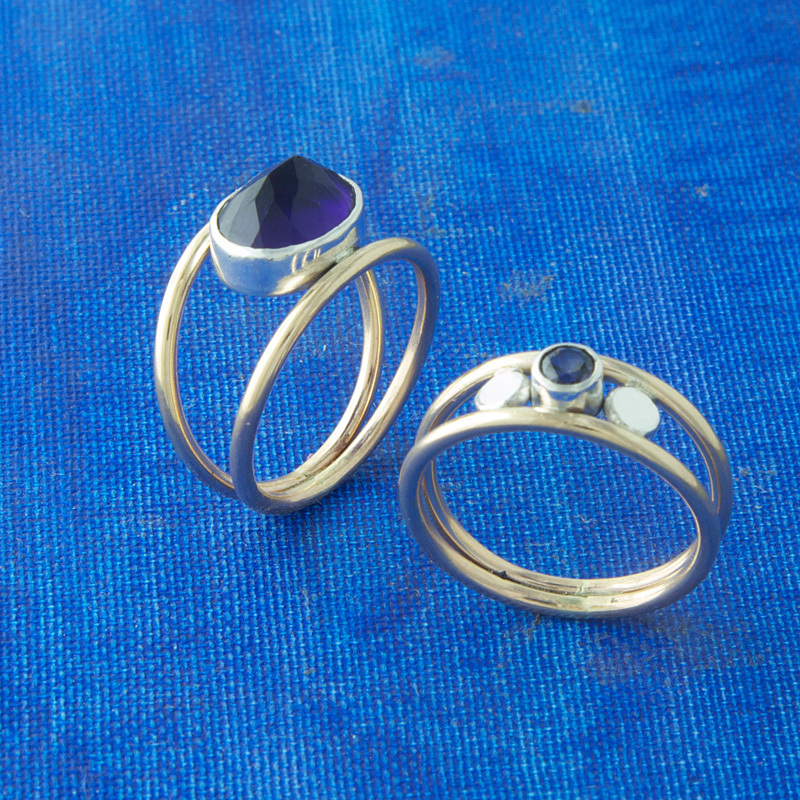 With silver I use blue and black silicone polishing wheels. Is there anything to use for the saw blade edges to help smooth them from being rough? Thank you! Hi Joe. If you are cutting gold filled plate, what do you recommend doing with the exposed edges? I have tried pen plating, but can't reach the deep crevices even with a fine too and I can't seem to find a pen plating solution to truly match my gold. I have been told bath plating over gold filled may present issues as well. I have a Blaster GB-2001 torch that has a leaking filler valve. where cane i get parts for this model torch? Blazer has informed me that they do not sell this. I just started soldering gold filled jump rings, but they all turn out pink! So frustrating! I use boric acid and alcohol to protect the piece but it burns out during soldering..
And if I keep the flame low, the easy solder won't flow.. If you over heat gold-filled you'll bring up the copper in the base metal core and get a copper rose colored scale. Even with a fire coat this can be hard to prevent. Make sure your boric acid fireboat is really covering the surface before you add your secondary flux for the join. If you dip and the fire coat doesn't cover the whole piece, you'll get scale. Be sure to clean the metal to remove oils that can resist your flux. For small pieces, sometimes I dip it and then dab more boric acid fire coat on any bare spots. You need to solder efficiently to avoid a lot of scale. That means the right amount of heat, as fast as you can. Too low and too long is more time to make scale. You'll know you're having success when the solder flows quickly and the jump ring still looks gold colored. If you still get a rosy scale, you can't sand or do anything too abrasive to remove it or you risk exposing the base metal core. I scrub my gold-filled after pickling with water, pumice powder and a tooth brush to remove light scale safely. Unfortunately yes, Blazer doesn't sell parts. Either you send it in for repair or hopefully you can fix it yourself. I have a blog post on Troubleshooting Butane Torches (http://metalstudio.blogspot.com/2013/08/troubleshooting-tips-for-your-butane.html). If you're leaking butane out of the filler valve on the bottom of the torch it could be over filled and there is too much pressure. It will leak out fuel until it sort of self corrects the problem, or you can assist it by pressing gently on the nozzle inside the filler valve with a flat head screw driver. This will vent butane as a spray, so wear safety glasses. It releases pressure and if this was the cause of the problem it will stop leaking. Sometimes if it leaks during filling, the problem is the butane canister. Try using a different canister or one with a different, maybe better fitting nozzle. I definitely have experience some wet messy butane refills with a bad canister, and when I switched cans it was fine. Jewelry Care Guide Really good advice!!! Thank you for the valuable information. Thanks for sharing these tips. Very helpful. Can you enamel over gold filled sheets with lead based enamels?